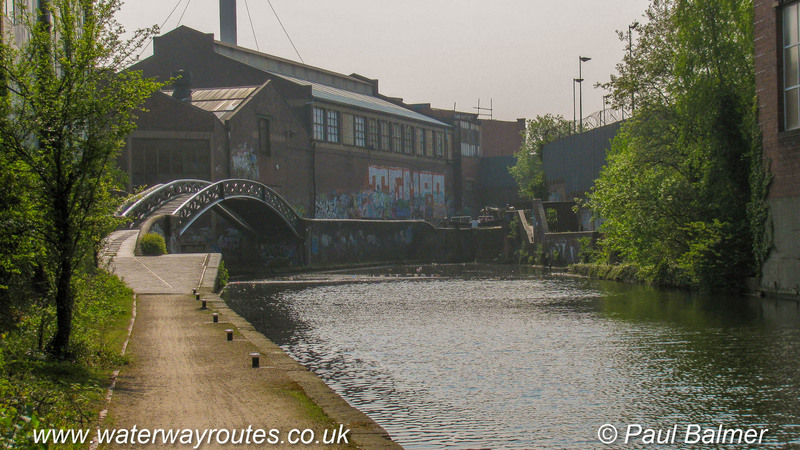 Looking along the Digbeth Branch of the Grand Union Canal towards Bordersley Junction, with Warwick Bar and Digbeth Junction behind the camera. The Grand Union Canal’s main line passes under the bridge to the left to reach Salford Junction. Just right of centre is the bottom lock of the Bordesley Flight on the Grand Union Canal’s route to London.